Our goal is to connect people with the best local experts. 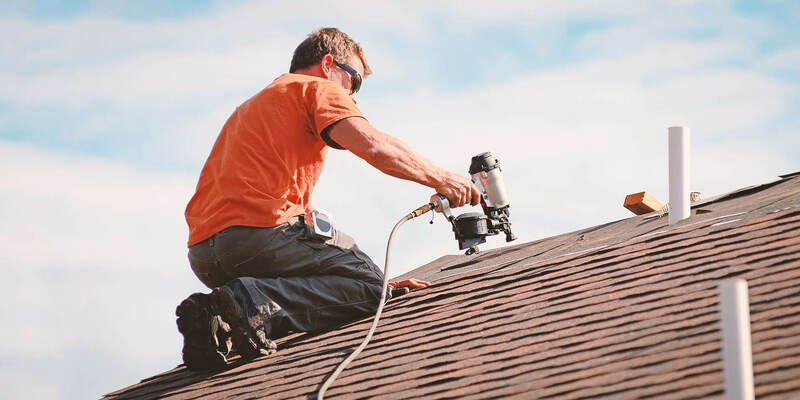 We scored roofers on more than 25 variables across five categories, and analysed the results to give you a hand-picked list of the best roofers in Memphis, TN. Baker Roofing offers commercial and residential roof repair, maintenance and installation. They provide roofing services to residential and commercial customers in Memphis and Nashville. Launched in 1915, the company has a long history of high-quality, award-winning roofing work. Brian Elder Roofing provides residential and commercial roofing services in Memphis. Customers say that Brian Elder Roofing is quick and professional. They are a Better Business Bureau accredited company. In business for more than 45 years, Camco Roofing & Exterior Supplies is a family-owned business in Memphis. They supply a variety of roofing, siding, and exterior materials to local roofing, building, and remodeling processionals. Don Sharp Home Improvements install and repair roofs for residential customers. Operating since 1984, the company serves the Memphis area. They repair and replace roofing, sidings, gutters, and windows. Customers commend the company for their efficient services and extensive knowledge of roof repair. Empire Roofing offers roofing maintenance, repair, and installation for commercial properties. Founded in 1982, the company serves customers in Memphis and Nashville. They are three-time recipients of the Firestone Master Contractors Award. The company is renowned for its quality workmanship. Excellent Roofing installs composition shingles, flat, slate and metal roofing for commercial and residential properties in Memphis. The company has received credentials as a top elite level CertainTeed roofer and an Owens Corning Preferred Contractor. They are recipients of Angie's List's Super Service Award. Memphis roofing company Hill Contracting installs and repairs roofs for residential customers. In business for more than 20 years, Hill Contracting offers customers a five-year warranty. Customers have reported the company has an attentive crew. They are a Better Business Bureau accredited company. J. Adams Roofing Incorporated provides commercial and residential roofing services in Memphis. They have been installing and repairing roofs for 30 years. They openly share their knowledge of roofing and can help their customers determine when to replace their roof. In business for more than 40 years, John J Campbell Roofing provides roofing maintenance, inspection, replacement and repair for commercial properties. They offer 24/7 emergency roofing services. They are a Better Business Bureau accredited company with an A+ rating. Kreunen Construction, Inc, replaces roofing for residential customers and specializes in consulting on insurance claims for homeowners. In business for 25 years, the company guides its customers through the entire roof replacement process with efficiency and expert knowledge. They are known for their expertise and quick work. Lindsey Roofing specializes in the installation of residential shingle and metal roofs throughout Olive Branch, Tennessee. Operating since 1994, Lindsey Roofing is a Better Business Bureau accredited company with an A+ rating. They offer free on-site, personal roof evaluations and estimates. The contractors of the Memphis roofing company Mighty Metal Roofing specialize in roofing repair, installation, and maintenance. They are experts in using a three tab asphalt system to install shingle roofs. They have a reputation for exceptionally reliable service. Memphis roofing company, Mr. Roof, provides residential and commercial roofing services. They install and repair shingle, flat roofs, and their exclusive Equalizer roofing system. The company has been in business since the 1960's. They offer free estimates. My Town Maintenance Roofing & Renovation provides roof repair and installation to customers in Collierville. In addition to taking on emergency repair jobs, the company also specializes in preventative maintenance. They are also flat roof specialists for commercial properties. The company is committed to offering superior services to customers. Newtco LLC Roofing & General Contracting installs, inspects, and repairs commercial and residential roofs. The company serves the Memphis area and is an Owens Corning Preferred Contractor. Satisfied customers reported the company works quickly and efficiently to finish the job. Ole School Roofing inspects and repairs roofs for residential and commercial customers. Based in Olive Branch, the company specializes in shingle roofing for its residential customers and TPO and flat roofing for its commercial customers. Their 100% satisfaction guarantee has helped them successfully serve the area for over 10 years. Raleigh Roofing Company, Inc specializes in replacing residential roof decking, repairing leaks, and installing architectural roofs. With over 40 years in business, customers often praise the company for their timely and professional services. They are licensed, bonded, insured, and offer free estimates. With more than 60 years of combined experience, Memphis roofing company, Roof MD, offers repair and replacement roofing service for residential properties. Customers say Roof MD's service went above and beyond the finest quality possible. They have an A rating with the Better Business Bureau. Roof Pro LLC provides roof installation and repair services for residential and commercial customers. Their Memphis office has been serving the community since 1996. Satisfied customers have reported that Roof Pro is quick, efficient, and competitively priced. Established in 2007, Superior Roofing of Memphis specializes in residential roofing repair, installation, and maintenance. The company is a licensed roofing contractor and provides a free analysis and estimate. They are a certified Shingle Master company offering a 12-year warranty. Top Ridge Roofer provides residential and commercial roofing services to the Memphis area. The company specializes in the repair, maintenance, and installation of roofs. Customers have praised the company's services, noting their professionalism and speed.